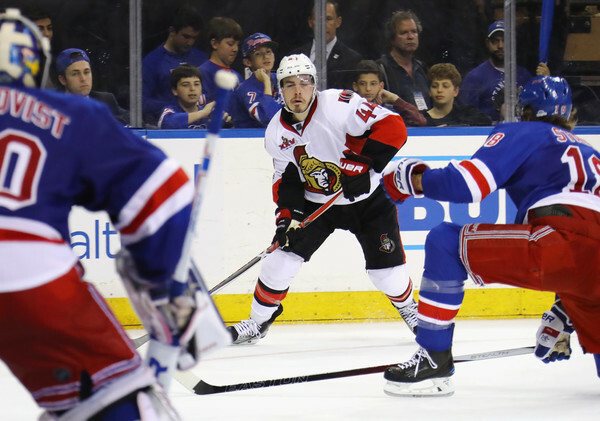 Jean-Gabriel Pageau and the Ottawa Senators will look to rebound in game four vs. the New York Rangers. The Ottawa Senators bolted out to a 2-0 lead in their semifinals series against the New York Rangers. But the latter cut into this lead with a dominant 4-1 victory in Game 3. This doesn’t change the fact that Ottawa is still the favorite in this Eastern Conference series. However, the Rangers can no longer be overlooked after a decisive win in Madison Square Garden. Senators coach Gary Boucher was well aware that the Rangers would come out with energy. A two goal game may not be a career night for many players, but for Patrick Kaleta it was just that. Buffalo was up for another big challenge on Saturday night. Although the Sabres had Ryan Miller in net, the Rangers have had a day off in between games. The Sabres played their third game in four nights. Patrick Kaleta's two goals led the Sabres to a 3-2 win over the Rangers. The prior two games may have come as a shock to many fans. Buffalo played two elite teams: one from each conference. On Wednesday, Buffalo was able to shutout the league’s top scoring team. Then, on Friday, the Sabres held the Blackhawks to just one goal (with backup goaltender Patrick Lalime in net). Nathan Gerbe was not in the lineup tonight, due to a sore groin. The team called up Mark Mancari for the game. Mike Grier was also out of the lineup due to his mother passing away. He is expected to be back for Monday’s game against Montreal.